Is apathy the right word for the public’s attitude to politics and the democratic process? Is there really a lack of interest? Perhaps in the current content spewing from most mainstream mouths but this is not the same as a lack of interest in the issues. Is there really a lack of enthusiasm? Perhaps for the direction in which said spew wants to take us. Perhaps for some issues: immigration gets some people very heated, for instance, whereas others refuse to see it as an issue worthy of so much time. The CEO of Energy UK Angela Knight is in the news today for (again) defending energy companies’ price rises. Somewhat bizarrely she said energy companies are “more socially responsible than supermarkets” and yet again blamed rising wholesale costs of energy for consumer price rises – an argument which has already been shown to be completely untrue. So how come the CEO of Energy UK is able to so openly lie to the public without so much as a blink or a twitch never mind a drop of sweat passing over her brow? Vox Political has been waiting for this meeting, with almost as much impatience as Jayne and Debbie, but it seems Iain doesn’t want to come out and play! Let’s ask why. Apparently Job Centre staff – these are the people who spend their entire working lives bullying benefit claimants in a bid to make them go away and never come back – are seen as a liability by government ministers because they might help claimants who have been refused benefits like ESA to appeal against the decision! It might seem unbelievable but the facts behind this juicy revelation are well-established. 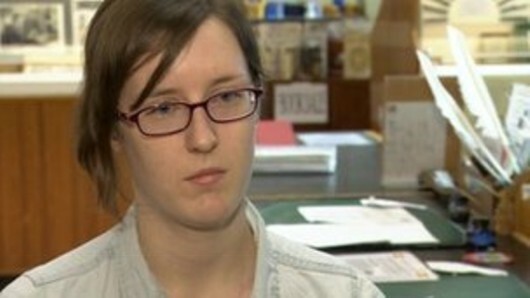 So, Job Centre staff, the question is simple: Where’s your self-respect? Are you really willing to behave like animals towards your fellow citizens – people you might have known since school or before, for the sake of a bunch of oblivious toffs who think you’re scum? As Johnny Void rightly writes, “No government ever changed anything because of a petition. Power needs to be forced to make concessions, not asked nicely. ” But signing this one couldn’t hurt – and would send the right message. So please take a moment to add your name. A petition posted on the 38 Degrees website late yesterday afternoon and which calls for all benefit sanctions to be scrapped without exceptions has hit almost 2000 signatures already. 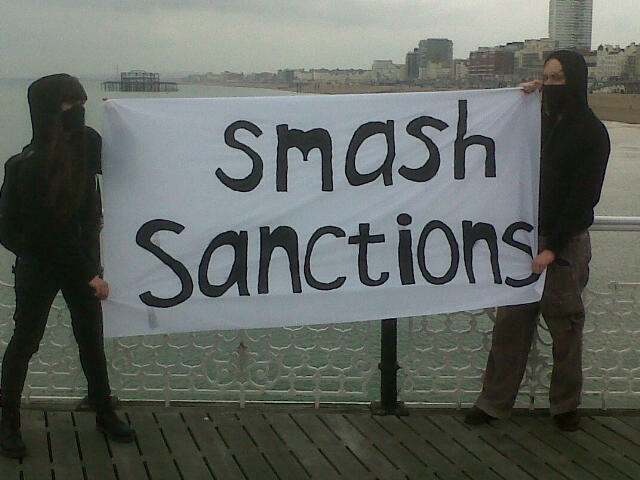 The petition – which wasn’t posted by me – uses some of the text from this earlier post discussing the brutal impact of sanctions to benefits which are driving hundreds of thousands of people into destitution. Tens of thousands of sanctions are handed out every month for the slightest breach of Jobcentre diktats. Single parents and most people on out of work sickness and disability benefits also face sanctions and this brutal system to soon to be inflicted on low waged part-time workers and people in precarious self-employment.